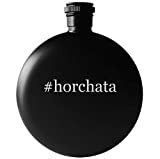 Rockstar Horchata is an energy drink version of the popular Mexican drink made with milk, rice, and cinnamon. Horchata Energy has more caffeine than orginal Rockstar and is made with real milk and includes the typical energy drink ingredients found in Rockstar. 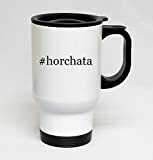 This drink is marketed to the hispanic community, but horchata is growing in general popularity. Rockstar Horchata isn't recommended for children or for those sensitive to caffeine. Sugar content: 37 grams (per 15 ounces). How Does Rockstar Horchata Energy Drink Compare? Rockstar Horchata Energy Drink contains 15.00 mgs of caffeine per fluid ounce (50.72mg/100 ml).